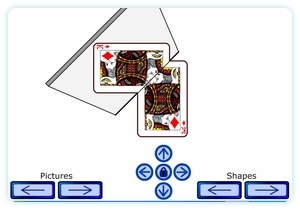 This teaching and learning resource presents you with a virtual mirror to use on your interactive whiteboard. Drag the on-screen mirror to reflect the different pictures and diagrams. Demonstrate what reflective symmetry is and where the reflection lines are on a number of shapes. Use your interactive whiteboard instead of trying to use a real mirror in front of a class. You may find this resource useful too: Symmetry Draw. Thanks. Spreading the word is much appreciated! I have just discovered your resources and they are truly amazing…every single one of them. They look great and really appeal to all my classes..from year 7 to 11. Thanks so much. Sheer genius!! Just stumbled on your website and have found lots of very useful stuff!!! I’ll pass the address on! this is so cool im so glad i have found this web site! !